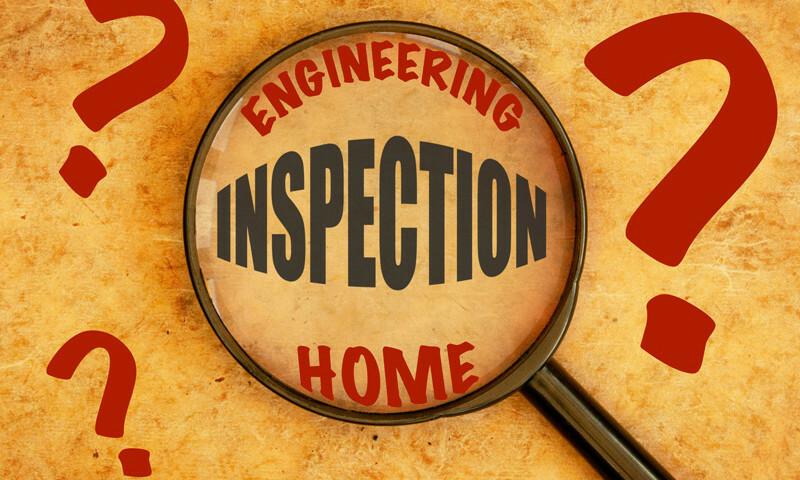 ArticlesArticlesWhat’s the Difference Between a Home Inspection and an Engineering Inspection? If you are in the market for a new home, you should budget sufficient amounts of money on due-diligence condition evaluations of the property. Most people budget about 10-20 cents per square foot for a home inspection. Some pay a couple of hundred dollars for a heating cooling specialist to check out the heating and air-conditions systems. Others might even bring in a roofing contractor to check out the roof. Some might go as far as getting a structural engineering inspection? Many people do not understand the difference between an engineering inspection and a home inspection. If you’re interested in knowing the difference when it concerns a structural inspection, then read on. Most home inspectors follow a set of published standards of practice and code of ethics when performing pre-purchase home inspections. Perhaps the American Society of Home Inspectors (ASHI) publishes the most well known standards. These standards explain what duties the inspector owes to the buyer. It states what is covered by the inspection and what is not. Basically, it is a subjective visual survey of the conditions of the major components which define a home: the foundation, the building structure, the interior, the exterior, the electrical system, the plumbing system, the mechanical heating and cooling system as well as insulation and ventilation issues. When you think about it, it’s a cursory review because it’s typically accomplished in a period of two to three hours. A structural inspection by an engineer, on the other hand, focus on the structural condition of the home: the foundation, the floor structure, the walls, the ceiling and the roof. The purpose of a structural inspection is to define probable load-paths from the roof to the ground and to make sure these load-paths and the age of time have not caused any form of post-construction building distortion. This can only be determined by mapping out the interior floor plans at each level and performing floor level surveys; mapping out the roof and ceiling framing; mapping out the foundation and floor framing, and documenting the locations of physical damage such as drywall, plaster and brick veneer cracking. Once the engineer or inspector collects this information during the inspection, he takes it back to the office to generate scaled drawings and plans for the engineer to study and draw conclusions regarding the performance of the home and the causes of any post construction building distortion. The results of the evaluation are presented in a type written report complete with photographs and CAD drawings and other pertinent information. A structural inspection is paramount if you’re buying a large home or have discovered building issues, which need to be properly evaluated to determine their severity.